Heartland Inspired: Been There, Didn't Finish, Loved It! I changed the title a little bit. I participated in the last study Proverbs 31 Ministries OBS, What Happens When Women Say Yes to God. Unfortunately, I fizzled out. Keeping up with my personal relationshp with God is a constant struggle for me. I started off very strong with the last study. I worked on it every night and really enjoyed what I was learning, reading the different blogs on the Blog Hop and learning about other women during Tweet It Up Tuesdays. Then one night, my schedule kept me out late and I didn't work on the study. Then I didn't do it the next night either. But instead of just working at my own pace to continue, which is completely encouraged, I stopped. I said no to God. Thankfully, God's mercies are new every morning. And I can start fresh again. Confidence is something I struggle with, even in my relationship with God. The feeling of unworthiness can be overwhelming at times. But God doesn't look at me that way, which is completely baffling. He loves me even though I am covered in the grime and muck of this world. He loves me when I don't believe in myself. In God's perfect timing, this study is starting when my job security is very shaky. My company was acquired this week and right now I am in limbo as I wait to hear what the future of my position will be. God has a plan for me and I can't forget that. He knew this was coming and knows how it will shake out. I have a constant bubble of nervousness in my stomach. My confidence is pretty low. I can't wait to see what God has in store for me during this study! You did SOMETHING! And something is better than nothing... sometimes we take baby steps and that is what it sounds like the Yes study was for you...my husband was interviewing in the middle of the Yes study, so I can relate to the bubble of nervousness. He started his new job 3 weeks ago, after 11 years at his previous place of employment-- things are going well. Father give Colleen your peace as her employment is unstable right now. Surround her in your arms and comfort her. Thank you for her baby steps! In Jesus name, Amen! Thank you so much for your encouragement and prayer! The Christian walk isn't easy, but it does require putting one foot in front of the other. I am looking forward to reading how God uses this study in your life too! I am looking forward to it, too! Praying God opens our hearts to everything He has to show us. God does have a grand plan and your obedience to keep on keeping on will be blessed. Hang in there! Thank you for your encouragement, Brandi! After your kindred spirit was shared on my blog, I knew that I should come and visit yours. I've been in the same place as you, many times. Have you ever walked a prayer labyrinth? It weaves a path in and out, close to the center one minute and then five steps later you're the furthest away. My faith has been an ongoing labyrinth and there are days, weeks, months that I'm doing well in my walk with God and then then there are day, weeks, months, and even years that I struggle with where I fit in His plan and I'm not sure I want to be a part of it. Just know that you're not alone. I pray that this study will provide you peace and an understanding of how to go forth in your faith journey. Be blessed! Bree, I completely understand your labyrinth. That is a great way to describe that constant struggle in keeping strong in my faith. This study is exactly what I need in this season of my life. I pray we will both be blessed by it! I am a newbie to online Bible study. I am totally excited but also a little nervous. I too am worried that I will mess up and not finish. I have been praying everyday about this. I hope to "see" you there. Heather, I understand the nervousness. I didn't want to miss a thing when I first started. But it became really easy to convince myself that no one would miss me if I stopped. But I don't think that is true. I think everyone who participates has a story that will encourage others. It will be missed if it isn't told. I pray that the obstacles of life will not keep you from finishing the study. 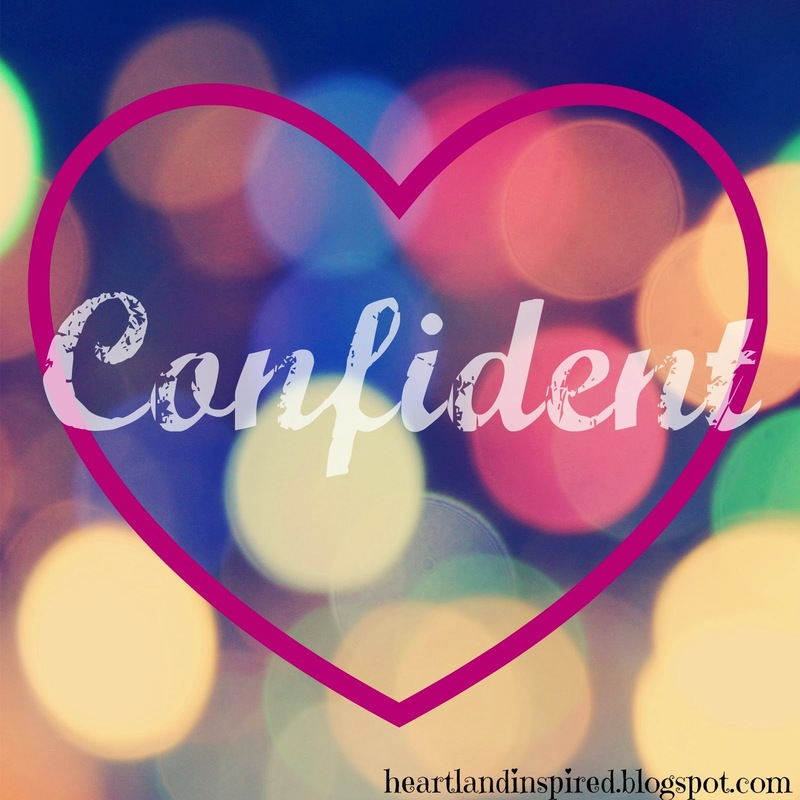 Colleen, it is great that you have decided to come back and do "A Confident Heart". When you get frustrated and things get overwhelming just take a deep breathe, pray and then come to Proverbs 31 blog and share how you feel. Someone will be willing to encourage you to just start over. Each study is archived to if you ever want to go back and finish or if you fall behind. God has a plan for your life and will work in your job circumstance, just focus on Him and not the situation at hand. Hard to do at times but remember where you cannot see to trust because God promised never to leave you alone. Blessings as you journey with others around the world in this OBS. Marilyn, thank you for your words of wisdom. I will remember to take this one day at a time and try to remember that this study is not about me, but it is about the Lord and what He wants for me. I will also have look at the archived Yes to God study so I can finish it. Hi! Just passing by to say hello & that I'm excited about the P31 OB study! Nice to meet you! Hi back! Thanks for stopping by! I am looking forward to really digging into this study!